JEFFERSONVILLE, Ohio — A Fayette County Sheriff’s Office deputy was shot and another man was shot and killed in an overnight incident at the Quality Inn/Amerihost in Jeffersonville. Deputies were dispatched to the inn at approximately 12:43 a.m. Sunday to investigate a disturbance inside the establishment, located at 10160 Carr Road. 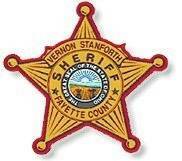 While investigating, a sheriff’s deputy was shot by one of the individuals involved in the disturbance, according to Fayette County Sheriff Vernon Stanforth. The deputy reportedly returned fire and the man was shot and killed, Stanforth said. The suspect was pronounced dead at the scene by the Fayette County Coroner’s Office. The deputy is in stable condition. The names of the deputy and suspect involved in the incident were not released by the FCSO as of early Sunday afternoon. Detectives from the Franklin County Sheriff’s Office and agents from Ohio Bureau of Criminal Investigation are conducting the investigation. The Washington C.H. Police Department, the Madison County Sheriff’s Office, the Ohio State Highway Patrol, Jefferson Township Fire Department and Fayette County EMS all responded to the scene.